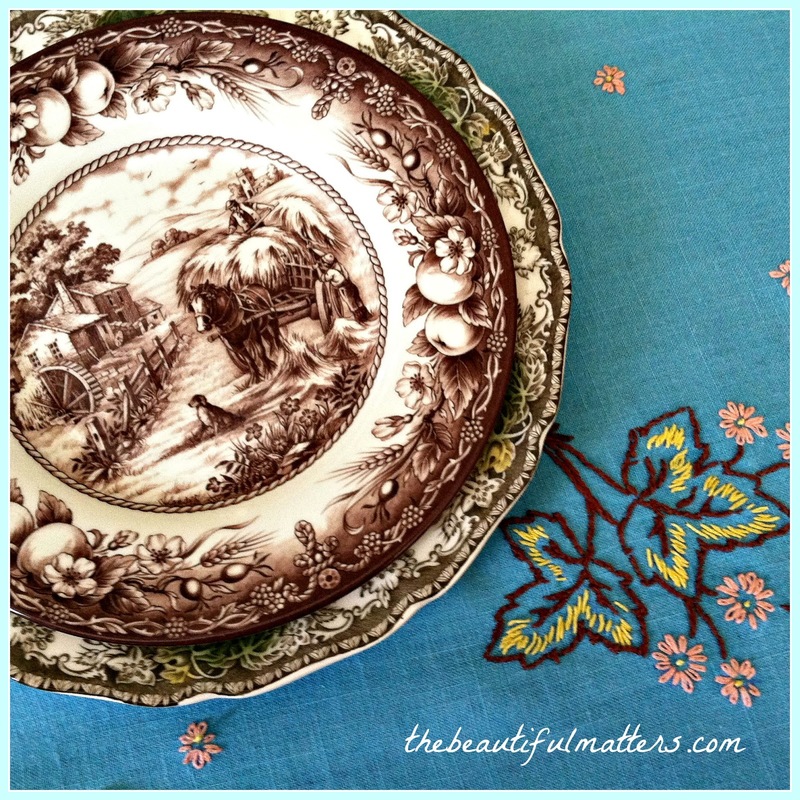 Your embroidery is beautiful and so is the china! Oh my goodness, I have NEVER embroidered- and you at 12? Such a talented crafter, WOW! And your tablescape looks awesome. 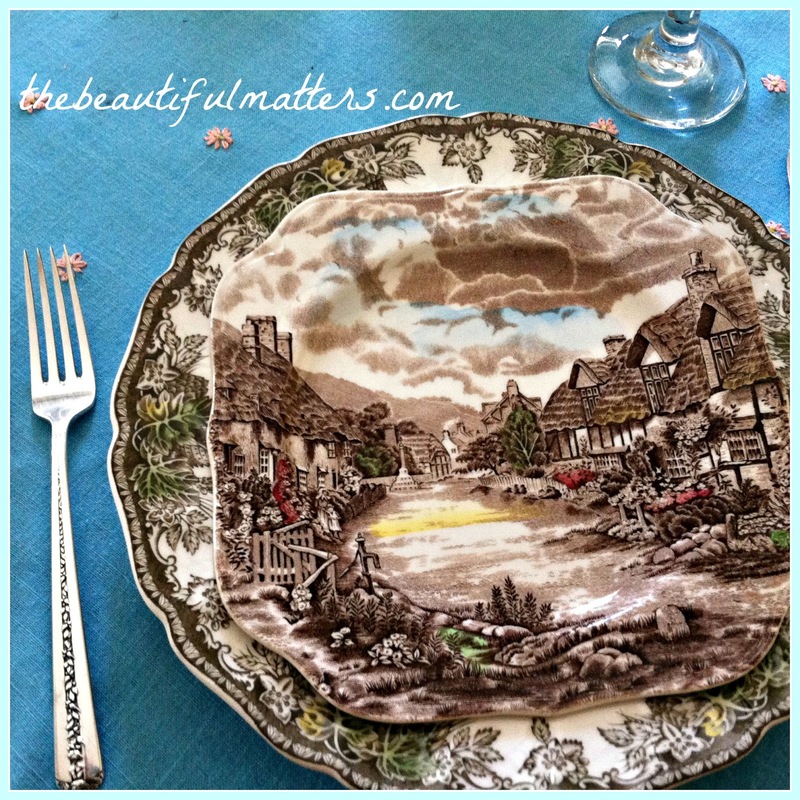 : - ) I ♥ your transferware! I love the two together, Deborah! You did a beautiful job at such a young age. I bet you are just as good if not better now? You did a lovely job with that embroidered table cloth for your Mom. Your settings are lovely with it too. Wow Deborah, I'm amazed that you embroidered the pretty tablecloth when you were 12 years old! You did a great job. It looks so pretty with your dishes. I love your voltives too! 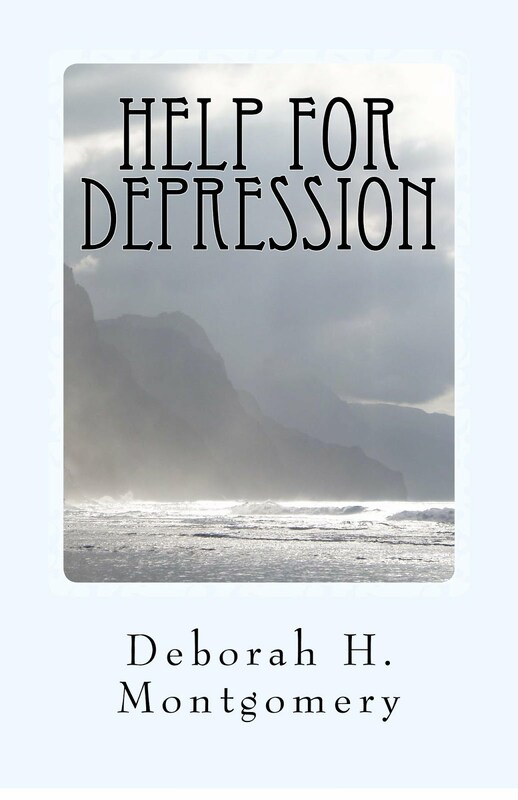 Thanks for the recommendation of this author. Have a wonderful day and Thanksgiving too. 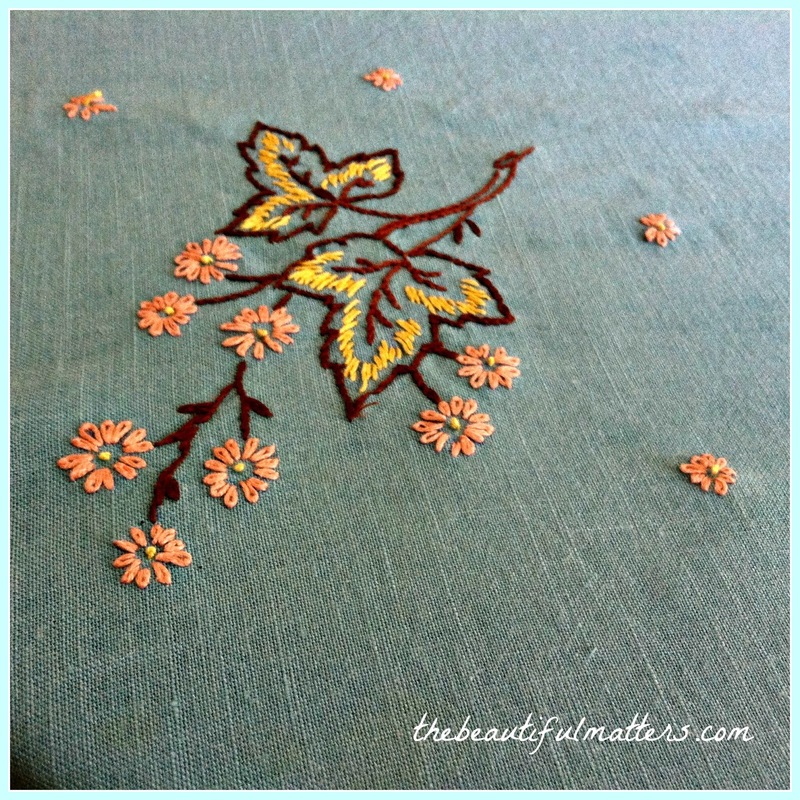 What a gorgeous embroidered tablecloth. I learned to embroider when I was 12 and remember making a pillow for my mom. 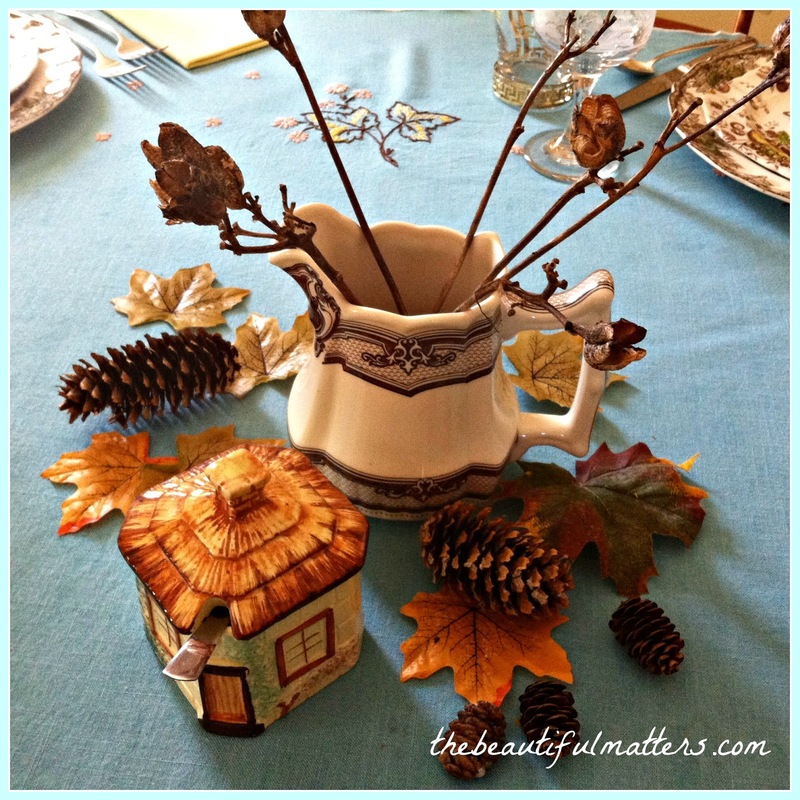 The fall colors look very pretty with the blue...I have a large FV platter that belonged to my grandma. I also love the pink dishes and the yellow teacup with the cloth too. I remember well the days that I embroidered. 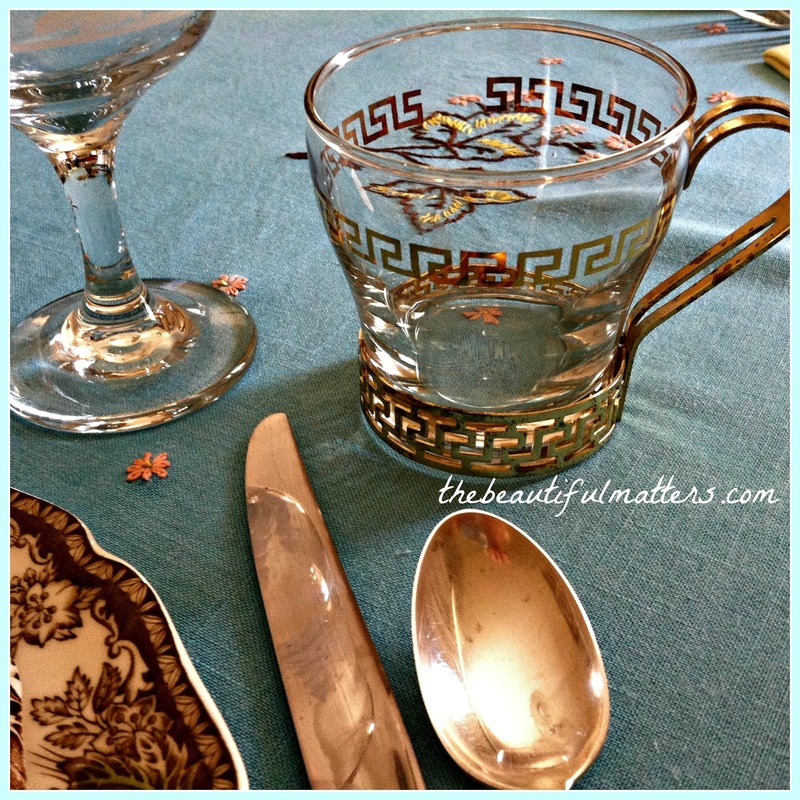 Love your tablecloth...and I think aqua is the perfect backdrop for your beautiful dishes! Everything looks lovely. What a wonderful embroidery work you did for your dear mom, Deborah, and at that young age!! I used to embroider and then went on to counted cross stitch. Your table looks lovely with your mix of Fall colors. 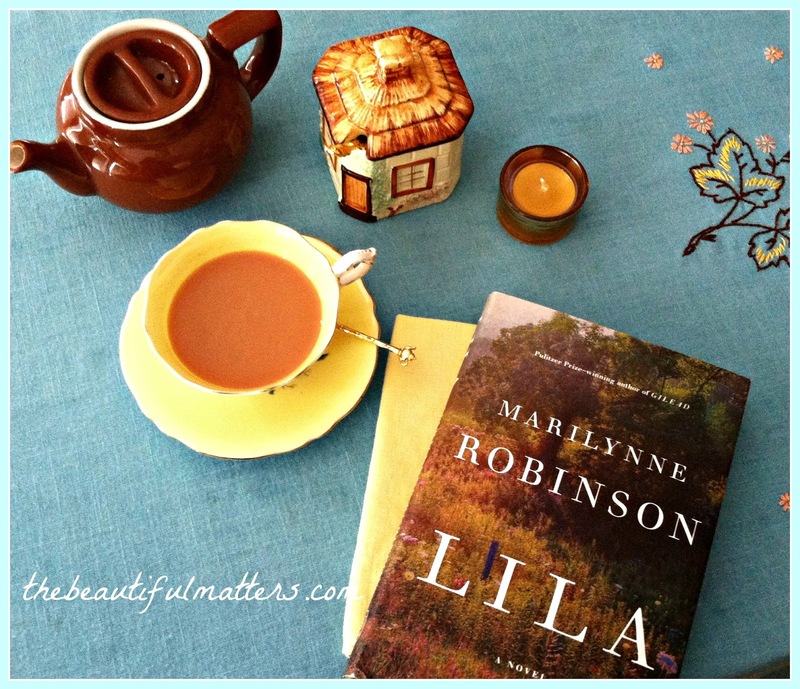 I'd enjoy having a cup of tea with you while discussing your latest book. What a pretty tablecloth, Deborah! You know, aqua is one of my favourite colours and up until last year, I had it in my kitchen-dining and living rooms.Your table settings, both for your special dinner and your tea look wonderful! You did a fabulous job with your embroidery. I love Friendly Village and it's perfect for Thanksgiving. The other brown pieces look really pretty with it. 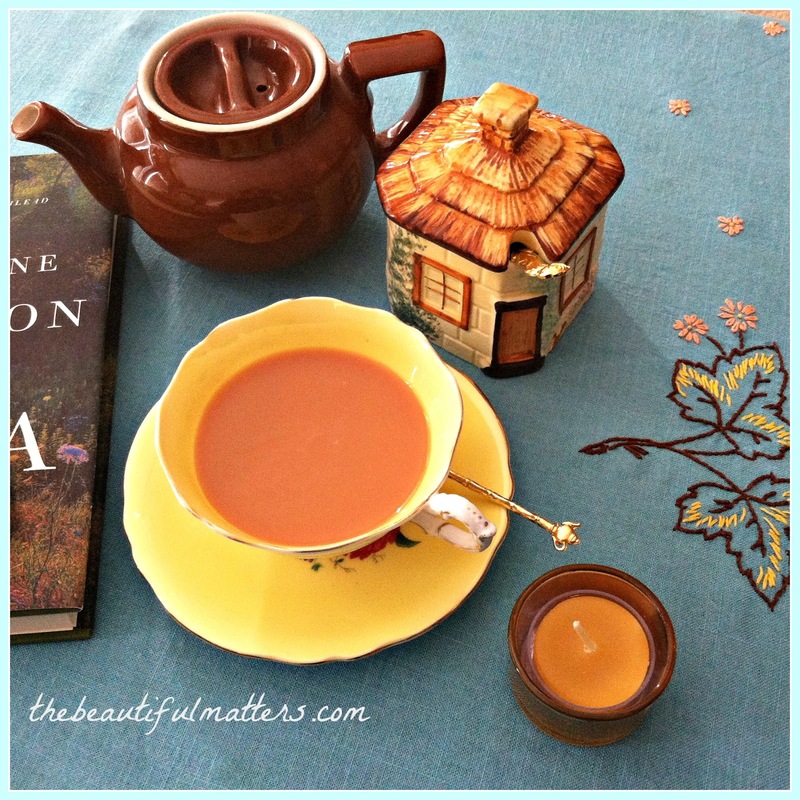 Thanks for sharing and joining me for tea. Happy Thanksgiving to you and your loved ones! 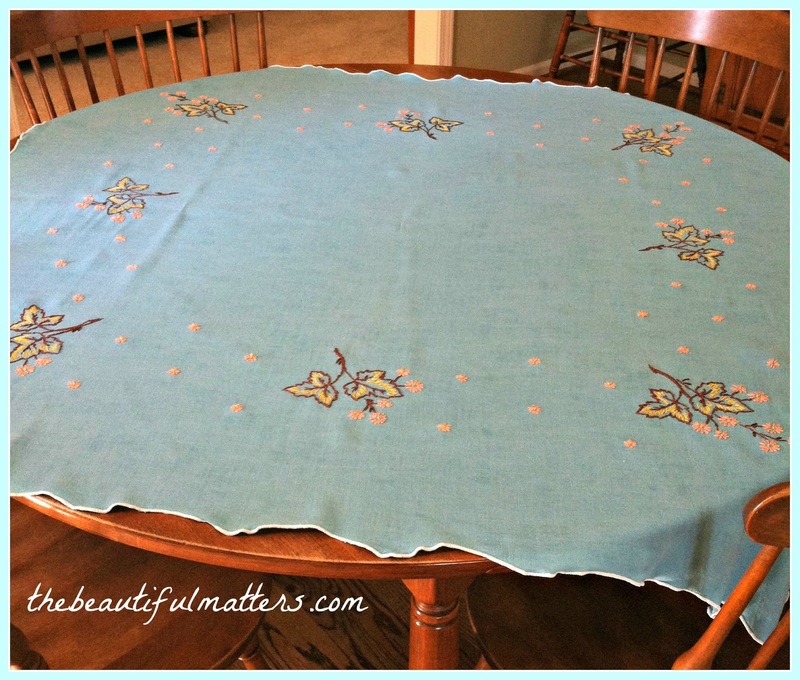 Hi Deborah...your table is lovely and I love your tablecloth! Perfect for the season! Glad you could do a color...usually white cloths were the thing. I' read Death Comes Tp Pemberly a year or so ago when the book came out for Pride & Prejudice's 200th anniversary. A departure for PD James indeed! Enjoyed it. Have a wonderful Thanksgiving! What a wonderful gift you created for your mom. I hope you are still doing stitching! Happy Thanksgiving to you and your family. What a treasure from the past. I love the aqua and brown together - warming and full of life. Hi Deborah, what a special treasure from your talented hands at 12 years old. You did an amazing job and I am sure your mother cherished this wonderful cloth. Your table looks gorgeous. 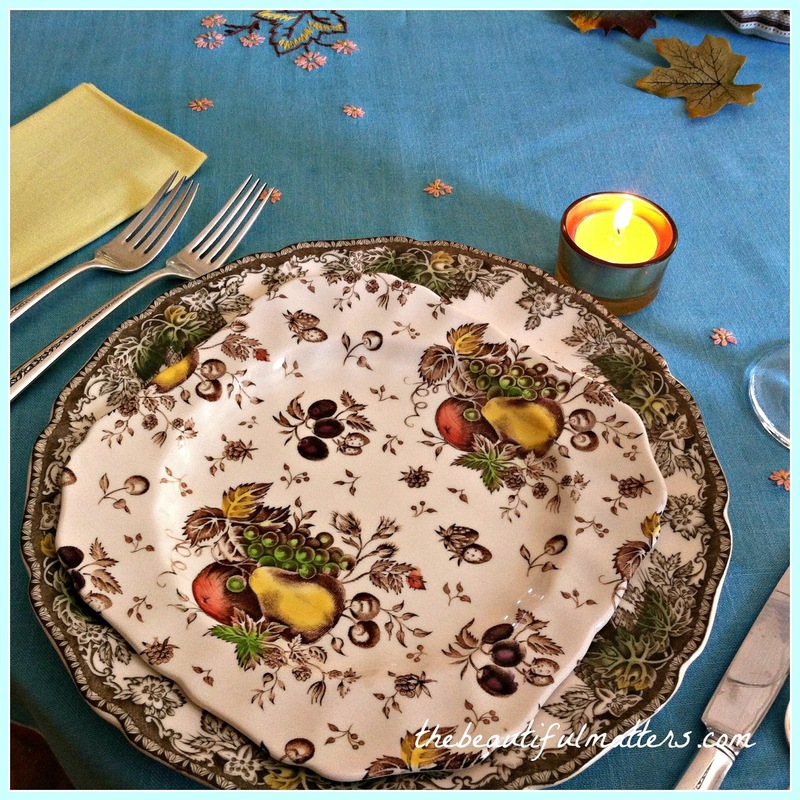 Love the layering of plates and the colors are so perfect for Thanksgiving. Yellow roses would make a pretty centerpiece. What a beautiful table cloth...you did good! The color is just beautiful with the oranges and browns...love those dishes too! 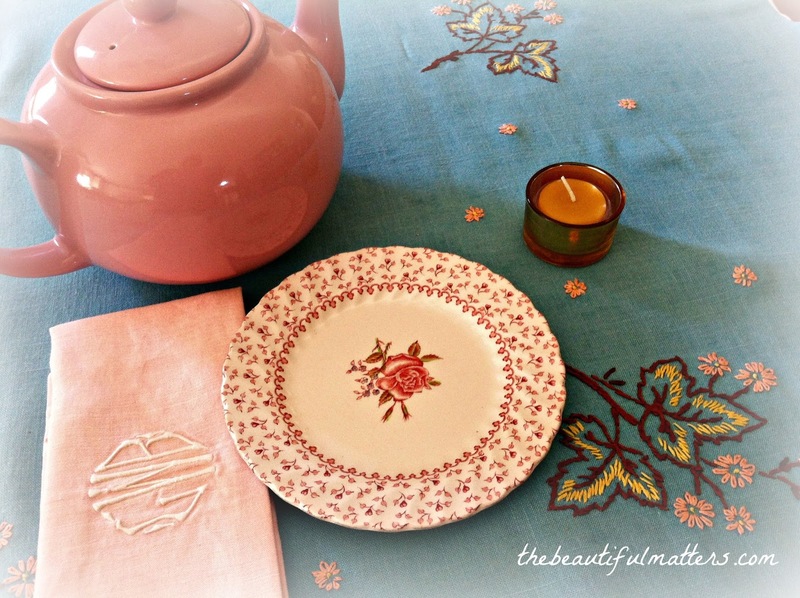 I love the colors of the tablecloth. You did such a great job! 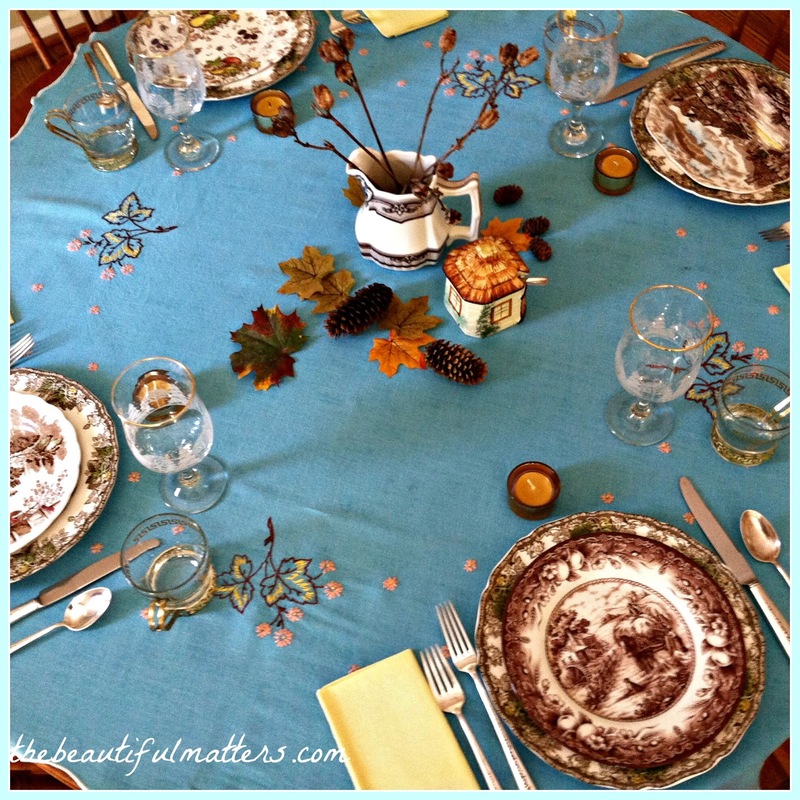 I think it's so pretty the way the different tablescapes pull out the different colors in the tablecloth. I just love a good pattern mix! What a lovely and sentimental tablecloth! Your childhood embroidery is impressive and I like the colour of the tablecloth. I've been pulling in a bit of aqua here and there, even for Christmas. You deserve lots of compliments for creating such impeccable embroidery work at age 12! But for sure you did not tell us the entire story... there just MUST have been a very talented Mother and even maybe talented Grandmother that encouraged you to create beauty! This can only be passed on and being instilled onto the next generation! 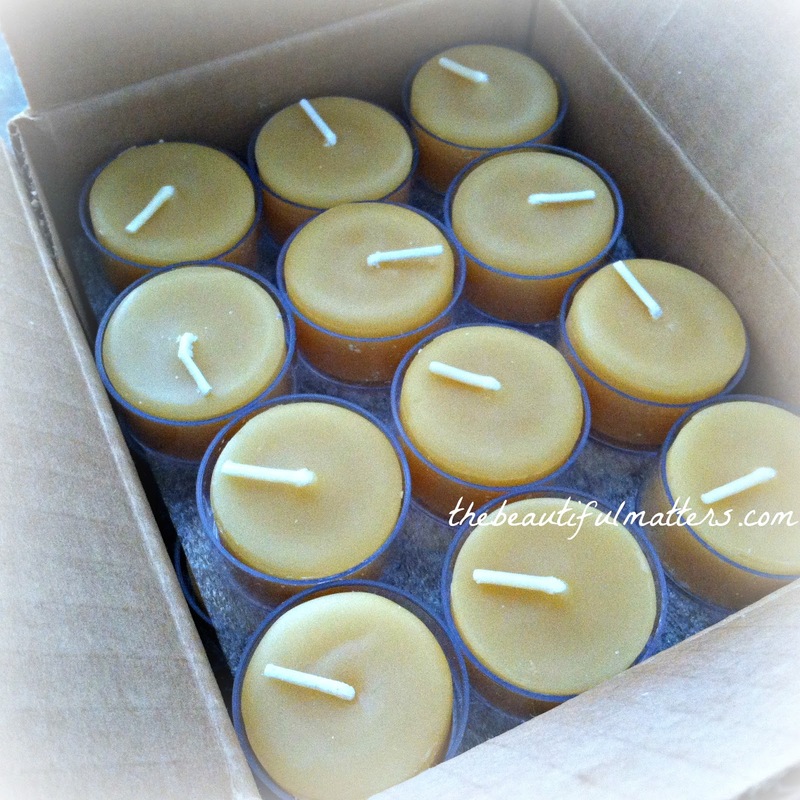 Lovely display and I like all you put out here and yes, beeswax is so much more pleasant than all those artificial scented candles. You know what, my sense of smell is so strong that I even had to walk at a fast pace past such stores that had them all out as gifts... I cannot tolerate that strong artificial smell! Sending you hugs and blessings for a Happy Thanksgiving! Your table is beautifully done! Love your dishes, and your amazing table cloth you made your mom. I tried needlework when I was young, and gave my mom ONE pillow case as I never did the second one. Your work is lovely! As an artist who embroiders I have to say your tablecloth is absolutely wonderful. Your choice of pieces to bring out the different colors in different ways is delightful. What pretty embroidery, Debra! How wonderful that you will be using this pretty piece as the foundation of your Thanksgiving Day dinner. 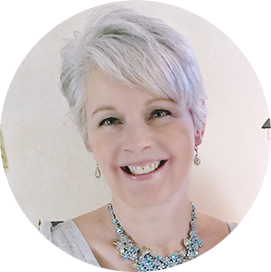 Happy anniversary for your first year of blogging; it's been lovely visiting you! What a LOVELY teacloth you embroidered as a young girl. I, too, loved embroidery as a girl. Haven't done any in recent years but I've been thinking about doing something again. 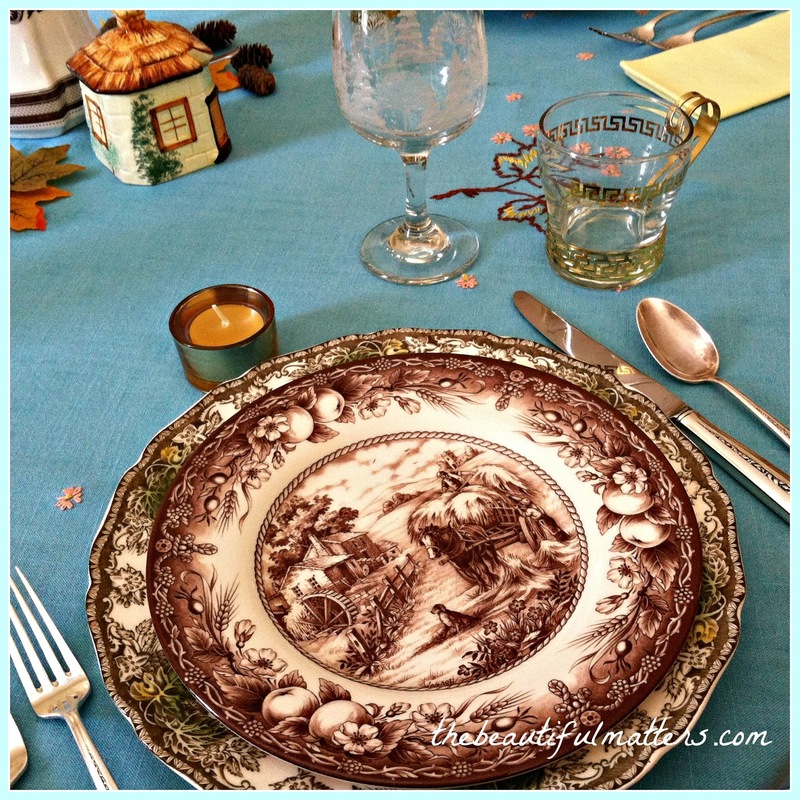 Your photos and table settings are beautiful.... gracious living! The tablecloth really sets it all off. Congratulations to your very talented 12 year old self! Your mother must have been absolutely delighted!